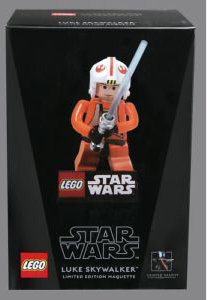 Description Of Item: The Luke Skywalker Maquette is the fourth in the series of limited edition LEGO Star Wars maquettes. The maquette measures approximately 6 inches tall. The head is removable and can be used on the other maquettes.